Bill Powell is always a pleasure to work with! I definitely would give Jeff Ciotti five stars for being a awesome saleman! He helped my mother get into a brand new Jeep Compass and she couldn’t be happier. She went to a few other car dealerships in the area with no luck and Jeff made sure that he got her the vehicle that she not only wanted but loved ! Emery was a wonderful help! We had a very difficult time with Montrose Ford of Alliance and Wally Armour was great! My husband and I got in and out within 2 hours!! That’s great Service Thank you so much Emery for helping us have a great experience!!! 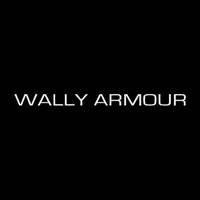 Wally Armour did a complete brake job on my jeep cherokee and it works great as usual and I am so glad it was taken care of. I always take good care of you.